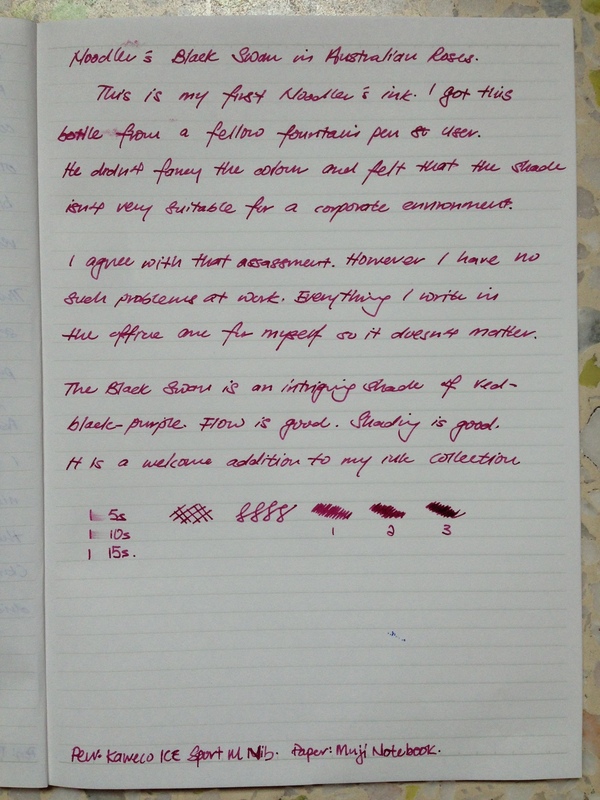 This is my first Noodler's ink. I must say this is an excellent experience so far! I got this bottle from a fellow fountain pen user. he doesn't fancy the colour and felt that the shade isn't very suitable for the corporate environment. I agree with his assessment. However I have no such problems at work. Everything I write in the office is for myself and nobody else, so it doesn't matter for me. the Black Swan is a intriguing mix of red-black-purple. The flow and shading is good for this ink. 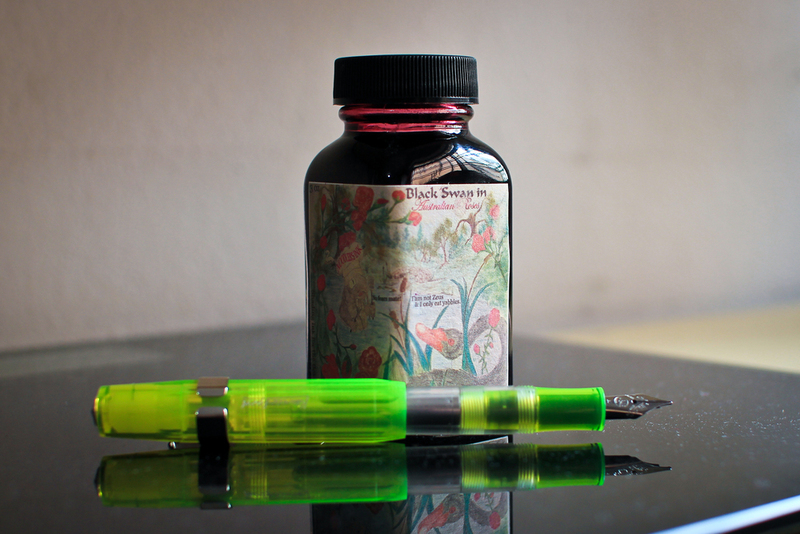 Dry time is pretty much comparable with my other Iroshizuku inks. The Black Swan in Australian Roses is a welcome addition to my ink collection. FYI: I would be changing my review pen to the Kaweco ICE Sport M Nib. It makes it easier to see the shading properties that the ink has. Though I must say filling my TWSBI with the ink makes for excellent photos. Pardon for the sumudges on the written review.